For Digital Tuesday Blog hop click here! For Whimsy Digi Blog Hop click here! Happy Friday and thanks so much for visiting! It is time for another Digi-Week over at Stamp Something and as usual we have lots of sponsors so there are going to be lots of prizes. Hope you'll find some time to play, all you have to do is make anything using anything digital. For my card I used an image from Digi Doodle, one of our sponsors. This image is called Butterfly Blossoms and is available here. I used my derwent coloursoft pencils and baby oil for coloring. My papers are from my overflowing box of scraps. Sentiment is a retired one from Stampin Up. 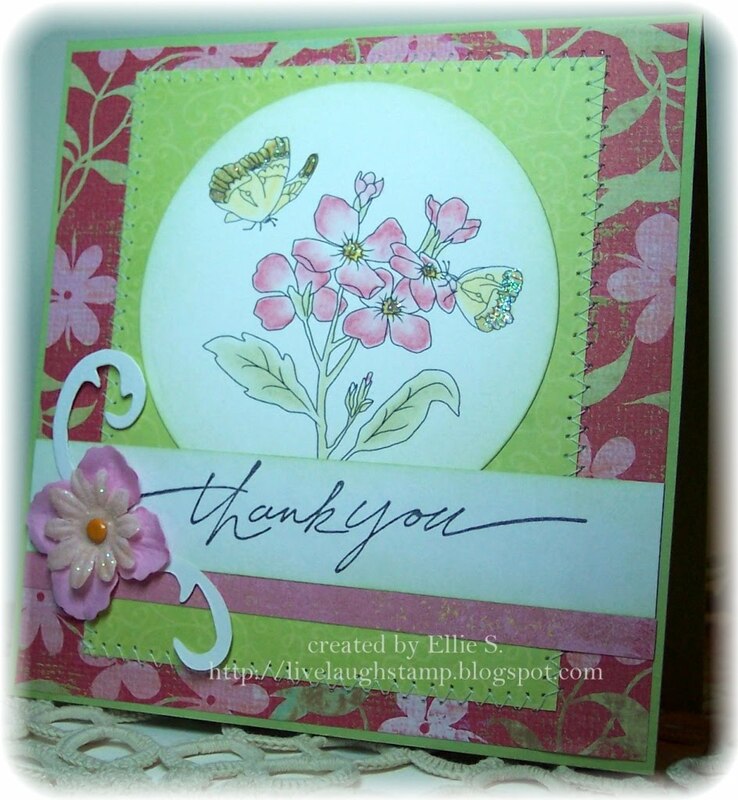 I kept the card pretty simple and embellished with just a layered flower with brad and a couple of flourishes. Then I did some stitching with my janome mini and added a little bit of stickles glitter. 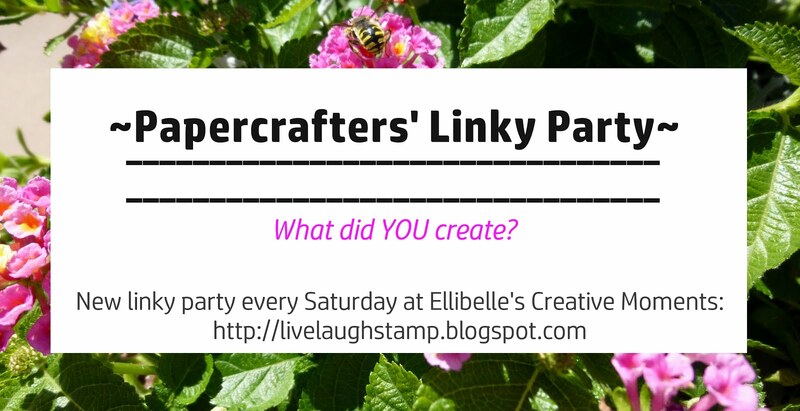 I am combining my card with the following challenges: Craft Us Crazy (nature), Crafty Purple Frog (fly away with us - wings). That is all for today! Have a good weekend everyone! Beautiful card! Love the flowers and butterflies. Great stitching!! Your card is beautiful! The stitching is a nice touch!